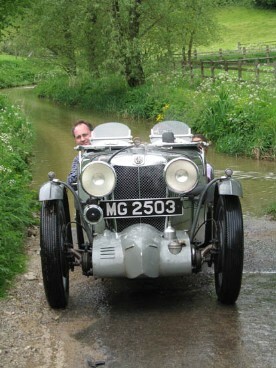 Cowls are made specially for Vintage MG Parts and are supplied to order. Delivery time is dependent upon workload at the time of ordering. The profile is the J4 (bullet style) pattern and is not to be confused with the alternative snub nosed or sometimes incorrect profiled, cowls available elsewhere. If using the J4 style cowl in conjunction with the Volumex and manifold arrangement, then part of the cowl above the outlet manifold section may need modification by the customer depending on how far forward the blower is mounted. Complete with side panels. Just needs the carburettor hole inserting to the desired position. We also supply the supercharger cowl securing knobs.